Long-standing EA developer, Rich Hilleman, explains that EA learned to succeed by failing. 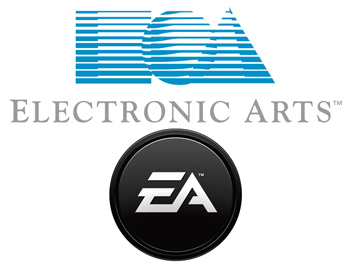 It's hard to imagine that Electronic Arts was once a small company, as opposed to the absurd corporate behemoth it is now. According to creative director, Rich Hilleman, who's been with EA since the 80's and worked on the original Madden game, the company's growth from two man start-up to corporate juggernaut can be attributed to its tendency to screw up in surprisingly fortuitous ways. "There are two real cases in EA where I think we made bad choices, and ended up being brilliant choices," he told Gamasutra. The first case was the Amiga. EA's Amiga games were almost universally terrible. Only Deluxe Paint managed to make any money, and that's stretching the definition of "game" a little bit. "And so the Amiga, for us, taught us a whole bunch of new things," said Hilleman. "We had to get good at music, we had to get much better at art, we had to get better animation that wasn't all sprite animation, we had to do 3D for the first time - a whole bunch of things that we had to do." "But how it paid it off is almost all of that stuff went straight to the [Sega] Genesis. And so really what happened for us is the Amiga was sort of a pre-run of what the Genesis business was for us." The Genesis (or Megadrive, for you civilized readers) became EA's earliest stomping ground. It saw the release of games like the Strike Series, Road Rash and the first game in the FIFA Soccer series, which is EA's second best-selling franchise and the best-selling sports sim series to date. Impressive, given that EA had to reverse-engineer its own genesis development kit - hence the distinctive yellow-tabbed carts. The same thing happened again with the horrendous, 3DO system in the early 90's. EA's failures on that system were excellent practice for the PlayStation, which would arrive shortly after. "We spent a lot of time trying to figure out how do you build products for disc-based media with this particular set of characteristics," he said. "And although 3DO didn't achieve the commercial results we were after, [PlayStation linchpin] Ken Kutaragi was definitely paying attention, and that product carried a lot of the same characteristics that [former EA exec] Trip [Hawkins] had wanted in the 3DO titles. "As a result, everything we did on 3DO was a preface for what we could do on PlayStation 1."